Any time you have got to change HP C4740 cartridges, Cartridge Save have everything you'll ever want. Actually getting matching ink cartridges is a frustrating hassle, most notably if it entails having to go to all sorts of stores. Having said that, changing C4740 cartridges doesn't need to be a difficult experience. Get all of your HP C4740 printer cartridges here at Cartridge Save and you will save not simply time, you will also find great deals. Free Next Day Delivery On All HP C4740 Cartridges! If you decide to shop for low cost HP supplies with Cartridge Save, you will be able to relax in the confidence in the reality that the purchase will likely be delivered at your household or perhaps business address the following day. All HP C4740 printer cartridges purchased off Cartridge Save always are protected with our long cash-back assurance. Don't miss out when prices are so good. 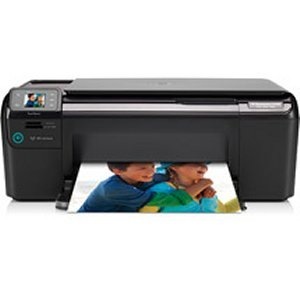 Save space with the wireless Photosmart C4740 – a colour printer, scanner, and copier that is designed for households in need of a multitasking device that can print, scan and copy on demand (and wirelessly, at that). The Photosmart C4740 is also features a high-speed USB. Set up can take time. The Photosmart C4740 looks similar to the older versions; it shares the same sleek body and excellent touch pad for controls. It boasts a high speed USB, IEE 802.11b and Iee 802.11 g for wireless configuration. The paper tray still sits on the front, and the flatbed scanner is on top of the unit. The wireless configuration is definitely the selling point of the Photosmart C4740. Unlike older versions from the line, the Photosmart C4740 is suitable for households and even small offices with multiple computers and wireless devices. It can print directly from the memory card, and boasts the same performance when it comes to printing, scanning and copying. Maximum print speed is up to 29ppm for monochrome prints, and up to 23 ppm for colour (draft mode). The Photosmart C4740 can be a pain to install and set up due to faulty software. The WiFi connection may take time to stabilize. That said, this printer works without glitches once hooked up.